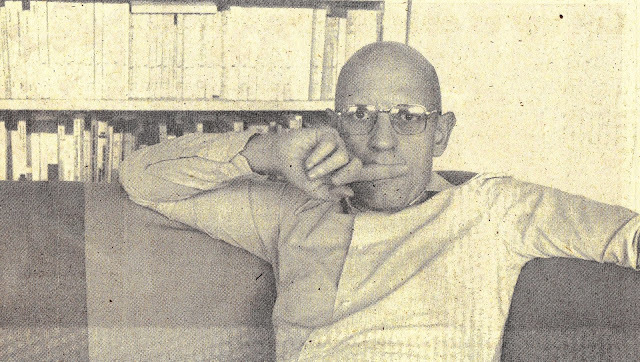 The publication in English of Michel Foucault’s lectures at the Collège de France in 1977-1979 has opened a new window for understanding the development of his late work. These lectures marked a “return” to a number of topics that Foucault had previously dealt with in negative terms (such as political government and liberalism) as well as the introduction of critical new concepts, such as biopolitics. These lectures also marked a striking methodological break, as Foucault’s analysis of power became significantly more nuanced, emphasizing the layering of techniques, institutions, and forms of reflection that comprise specific apparatuses. I analyzed the methodological shifts in Foucault’s late work in “Topologies of Power,” published in Theory, Culture, and Society (also discussed in an interview with Simon Dawes on the TCS blog). According to one dominant interpretation, Foucault’s return to an analysis of political government and liberalism, and his introduction of “biopolitics,” did not entail a fundamental methodological break; the approach he had previously developed in his work on knowledge/power was simply applied to new objects. In contrast, “Topologies of Power” argued that this reading—which is colored by the overwhelming privilege afforded to Discipline and Punish in secondary literature—obscures an important modification in Foucault’s method and diagnostic style that occurred between the introduction of biopolitics in 1976 (in Society Must Be Defended) and the lectures of 1978 (Security, Territory, Population) and 1979 (Birth of Biopolitics). Foucault’s initial analysis of biopolitics was couched in surprisingly epochal and totalizing claims about the characteristic forms of power in modernity. The later lectures, by contrast, suggest what I call a ‘topological’ analysis that examines the ‘patterns of correlation’ in which heterogeneous elements—techniques, material forms, institutional structures and technologies of power—are configured, as well as the redeployments through which these patterns are transformed. The article suggests that attention to the topological dimension of Foucault’s analysis changes our understanding of key themes in his late work, most importantly, the theme of biopolitics. Biopolitics should be understood not as a total diagnosis of modernity but as a problem space in which various topological arrangements of power relationships can be observed. I put this methodological approach into practice in Post-Soviet Social, which traced Soviet social modernity and post-Soviet reforms as topological mutations of prior forms.